Florence is perfect for a luxurious city break. Being surrounded by so much beauty is a luxury in itself, as you’ll discover when you take a stroll across the ancient Ponte Vecchio or enjoy a private tour of the Uffizi. Here are some ideas to make your trip even more indulgent. There’s no shortage of luxury hotels in Florence, but the five star Palazzo Vecchietti is undoubtedly one of the best. Located in a 16th century palazzo with a rich history, this hotel has plenty of atmosphere and historical charm. There are only 14 rooms, giving it a more intimate feel, and guests rave about the outstanding service. 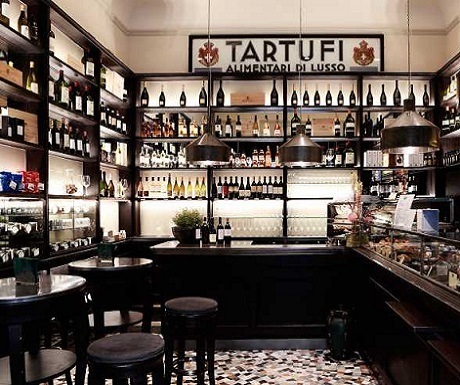 It’s also ideal for visitors who want to hit the shops, as it’s just a minute away from the chic Via Tornabuoni. Florence is famous for its leather goods, and the Scuola del Cuoio is the ideal introduction to the craft. Located in the frescoed rooms of the Santa Croce monastery, the Scuola del Cuoio (School of Leather) resembles a Renaissance workshop. You can come here to watch the experts at work, making bags by hand, or you can book a private lesson with the Master Craftsman and learn how to do it yourself. Favoured by the intellectual crowd, this famous restaurant serves up excellent Tuscan dishes, made with produce from the local farmer’s market. For your first course, try polenta or pappa al pomodoro (tomato soup with bread), followed by a main course such as polpetti di vitella (veal meatballs), and make sure you save room for dessert. Eat at the main restaurant for a more formal dining experience, or try the more casual trattoria next door, which offers a shortened version of the menu at communal dining tables. This elegant little delicatessen in the historic centre of Florence is renowned for its unusual sandwiches. Florentines have been coming here since the 19th century for a bread roll with crema di tartufo (truffle paste) and a glass of spiced tomato juice. It’s the perfect place to indulge in a mid-morning snack, and as you stand at the marble counter you’ll feel as though you’ve been transported back in time. Florence is full of perfume shops, but why not create your own scent? The Master Perfumer of Aquaflor runs perfume masterclasses in the cellar of a Renaissance palazzo. You’ll learn some of the secrets of the trade and have the opportunity to make your own ambient perfume, which you can take home with you at the end of the class. The spa of the Four Seasons hotel is rated by Elite Traveler as one of the best in Florence. The spa, which is located in the hotel’s 11 acre gardens, uses a special range of natural products from the Officina Profumo-Farmaceutica di Santa Maria Novella, the oldest pharmacy in the city. 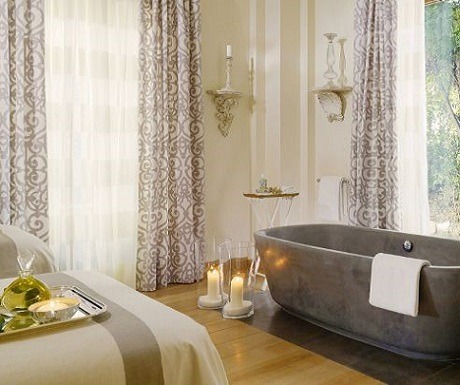 A highlight is the luxurious private spa suite, which offers special 3 hour spa experiences for honeymooners. The Gucci Museum has one of the most desirable locations in the city, in the heart of the beautiful Piazza della Signoria. Dedicated to the Florentine fashion house, the Gucci Museum hosts temporary art exhibitions and a permanent display of some of the most iconic Gucci designs, from evening wear to accessories. The Icon Store is much more special than the average museum gift shop, as it’s the only place in the world where you can buy certain limited edition Gucci pieces, including shoes, silk scarves, handbags and watches. Rosario Gorgone is Co-Founder of Through Eternity Tours. A hidden jewel in Florence, few steps from the Duomo, is the Firenze Number Nine hotel. Perfect for stay or simply have wonderful romantic dinner. My second home in Florence since many years. I totally agree, Florence is a ‘must see’ gem of a city, and one of my favourite places in the world. Don’t forget the incredible Mercato Centrale (yes, I love markets!) for delicious food stalls and fresh produce.